Since ancient times bread has been our staple food, and formed part of breakfast, lunch and our evening meal. 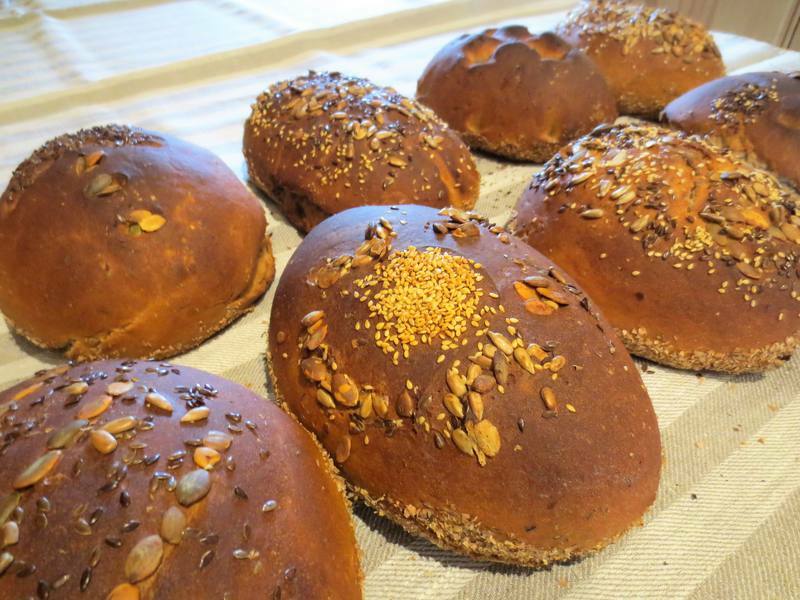 We bake bread from rye, wheat, buckwheat and barley. Both fine-ground and wholemeal flour is used. 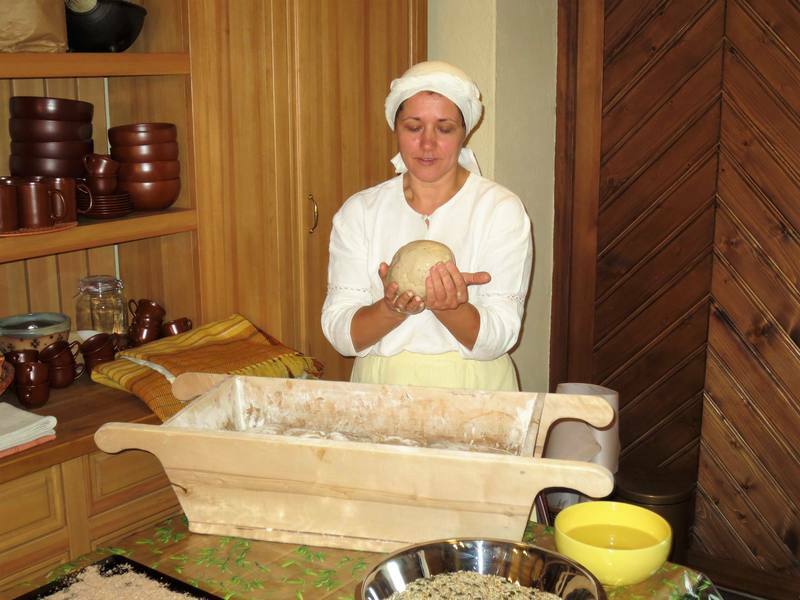 Bread baking is one of the most honoured traditional skills in Latvia. Caunītes country house keeps Latvian traditions alive and demonstrates them to visitors. The house is designed and decorated in the traditional Latvian style and exudes an authentic ambience while having modern facilities. 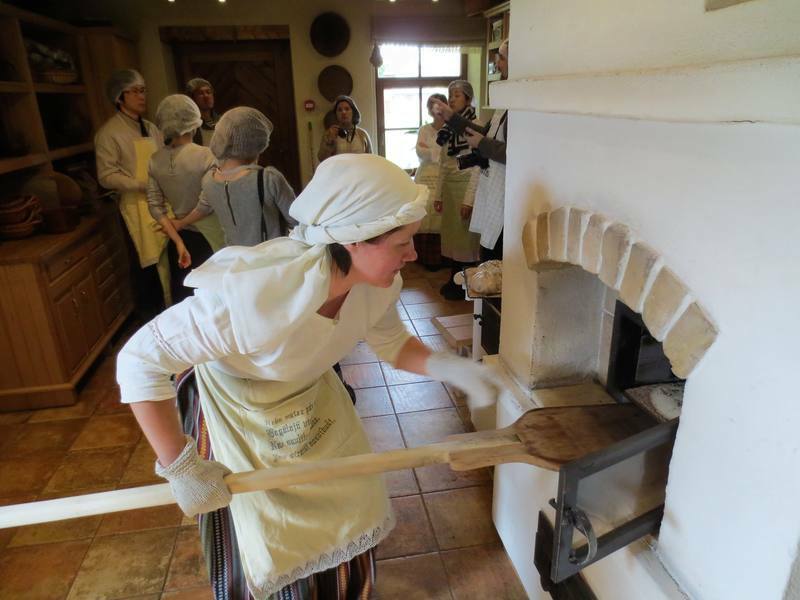 Under the guidance of the hostess, visitors will bake their own loaf of sweet-and-sour bread in a wood-fired bread oven. In Latvian families it was traditionally one of the main duties of the lady of the house to bake a week’s supply of bread for the whole family every Saturday morning. Every woman was proud of her own unique recipe and passed it down to her daughters and granddaughters through the generations. 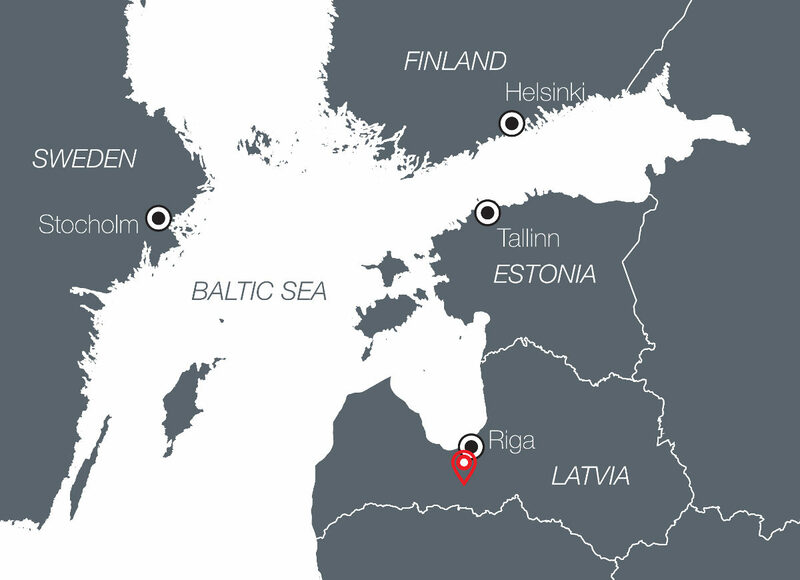 There are many traditional beliefs, sayings and riddles linked with bread in Latvian folklore. Today, there is great interest in the old recipes, bread-baking methods and the use of organic ingredients as many families are opting for a healthy lifestyle. Getting there by public transport or bus transfer takes approx. 1 hour. 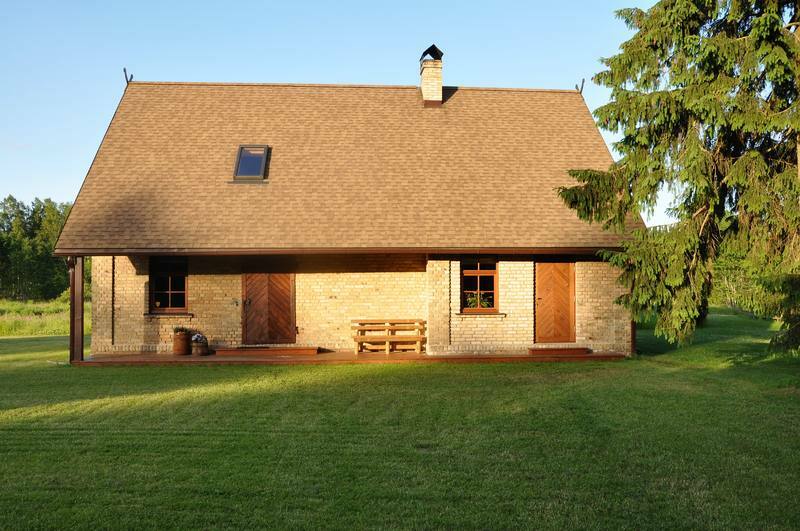 Introduction to Caunītes country house (approx. 30 min.). The hostess will show the guests around the country house and briefly introduce its history. Afterwards there will be a tea or coffee break with some traditional snacks. 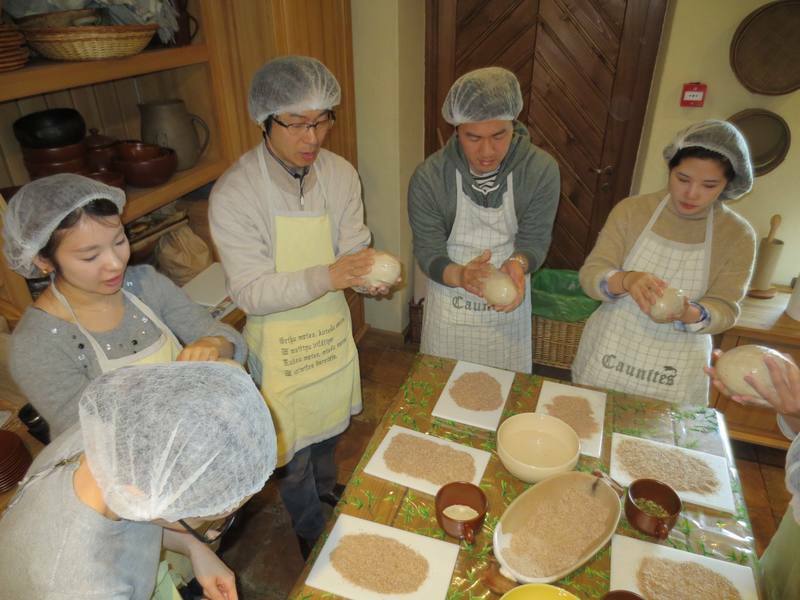 Bread baking workshop (approx. 30 min.). The host will give instructions on how to make a loaf from a previously prepared dough. She will share her knowledge of bread-baking traditions and skills. For the bread baking, guests will be equipped with a special hat and an apron provided by the hostess. When the loaves are ready, the hostess will put them in the oven. Lunch/dinner (approx. 50 min.). While the bread is baking the hostess will serve a traditional lunch of soup and bread. Taking the bread out of the oven (approx. 30 min.). After taking it out of the oven, the bread should cool down for 15 min. before it is ready for tasting and packing to take away. Guests will get their own loaves to take with them.